It appears that extension developers can now start monetizing through Google Adsense. Browser extensions (or add-ons) are essentially programs that extend the functionality of a web browser. In a twist of irony, many extensions were initially created to block pop-ups. Since then, they’ve evolved to serve a wide variety of purposes. For example, Google Translate recognizes when a website isn’t in your language and will offer to translate it for you automatically — which is something already built in to Chrome that other browsers can choose to install. According to Google, developers with visual elements to their extensions are now able to put ads into them. As of right now, it appears ads will only support Google Chrome extensions. Of course, your extension must comply with the company’s extension ads policy guidelines. The company also noted that any ads that take away potential profit from the site owner will not be allowed. 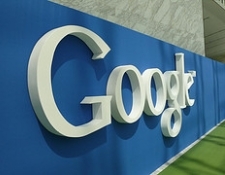 “Ads associated with your app may not interfere with any ads on a third-party website or application,” stated Google. You’re allowed to display ads alongside a third-party site if only the following criteria is met: this behavior is clearly disclosed to the user, there is clear attribution of the ads’ source wherever they appear, and the ads don’t interfere with any native ads or functionality of the website. It’s too early to tell how people will react to ads appearing within extensions, or even if this is a worthwhile venture. On one hand, it’s another opportunity to create awareness for your brand or product. On the other, Google hasn’t provided any data regarding how many people actually use and pay attention to extensions.